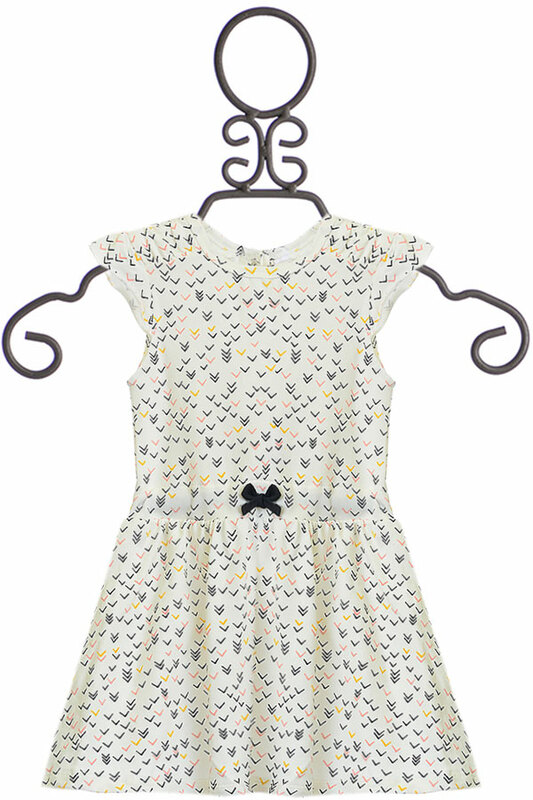 $19 - A modern design new moms love, this baby girls dress was designed by Petit Lem. THe white fabric is covered in a cute V print with black, light pink and bright yellow. The cap sleeves and U neckline are darling while black snaps close the back. A black drawstring ties at her waist and introduces the skirt. A matching diaper cover is placed beneath. 95% Cotton and 5% Spandex. Machine Wash Cold, Tumble Dry Low.